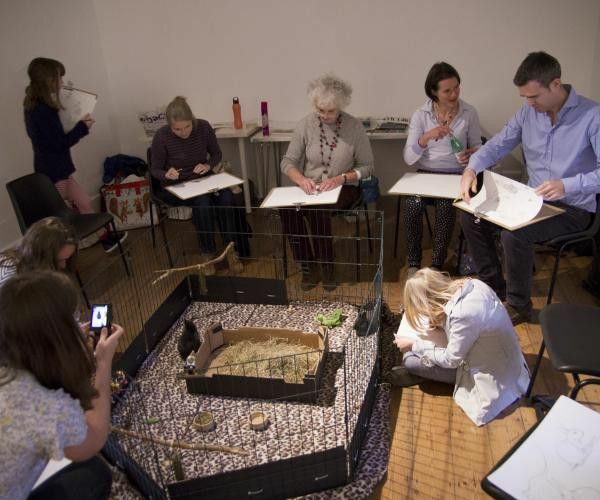 A drawing class with a difference, observing and drawing real animals live in the gallery. 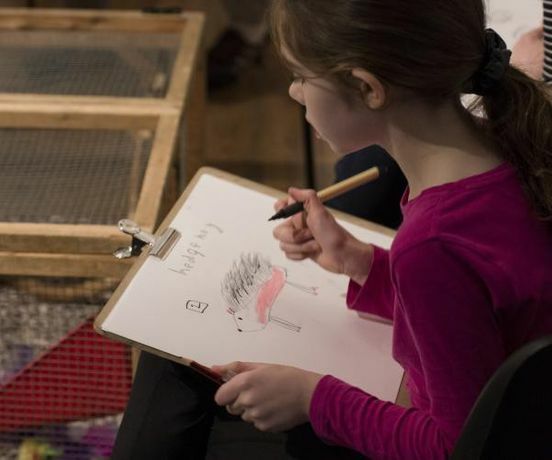 You will be sketching these clever critters as you learn how they show joy and use play to form and strengthen social bonds and to communicate. We will be observing and sketching a 'business' of ferrets and polecats that constantly play and perform what is known as a 'weasel war dance' –consisting of jumping around madly and squeaking – which is commonly held to mean that the animal is thoroughly enjoying itself! 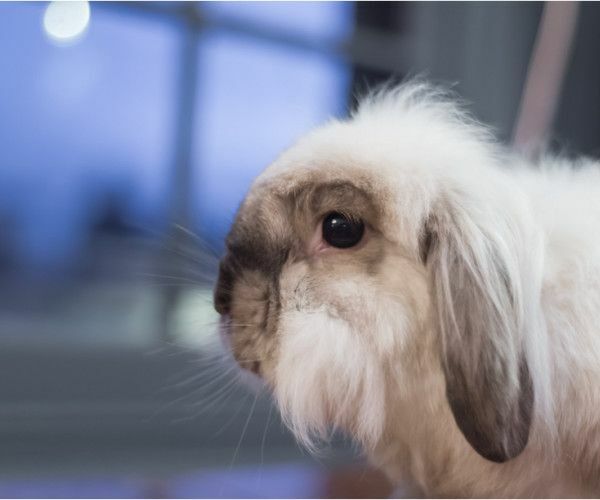 We will meet some lovely rescue rabbits, who do a fun run-and-skip combo named a 'binky' that shows their happiness. And we will meet Guinea Pigs, who jump straight up in the air with all four legs to show their joy in a move called 'pop-corning'! You will also meet Blossom the skunk, Odie the Opossum and Truffle the hedgehog and watch and sketch, to learn how they play and have fun. 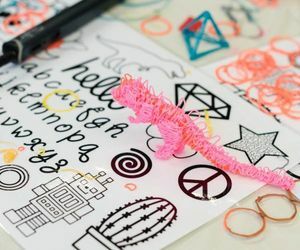 The drawing class is designed for families but open to all abilities, from beginners to advanced. 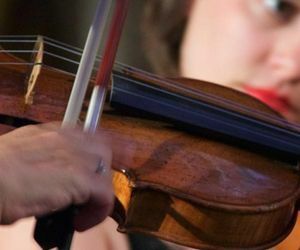 The sessions will be suitable for children aged 8 and above, and all children must be accompanied by an adult already taking part in the class. 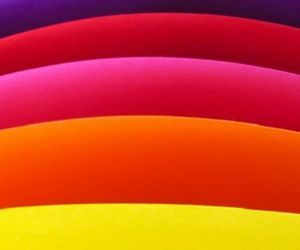 All drawing materials are supplied, including paper, but please feel free to bring colours or any other specific media you might like to use. Drawing tips and guidance will be provided throughout the session. 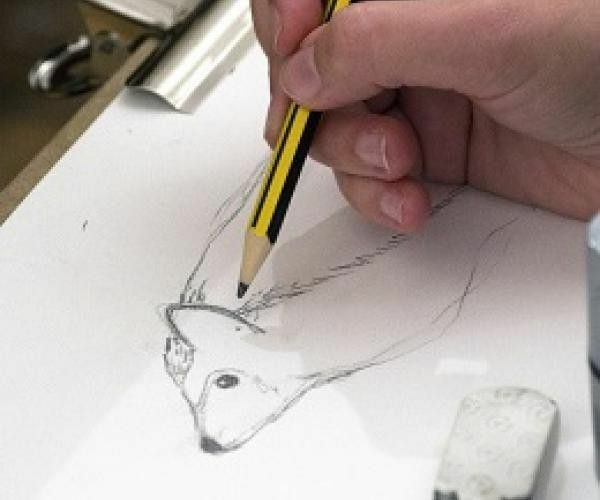 The aim of these drawing classes is to inspire a sense of appreciation and understanding for the animals and their conservation in the wider world. A family ticket priced at £35 provides entry for one adult and one child (aged 8-18 years.) Additional child tickets can be purchased for larger families, but only two additional child tickets can be purchased by the one adult on the family ticket. Wild Life Drawing is working with the finest animal handlers, sanctuaries and organisations to put on these events. All the animals that attend the sessions are well used to humans and comfortable in different environments; their welfare is our highest priority.